The official-trademarked-original Derby Pie is actually made with walnuts and a splash of bourbon – and also magical unicorn whispers. 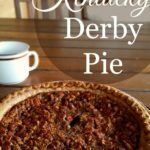 (No really, the recipe is so top secret and trademarked you can’t even CALL your recipe “Derby Pie” for fear of the wrath of Kern’s Kitchens 😉 ) But this Kentucky Derby Pie recipe is what most of us who didn’t order one from that Louisville-based bakery will remember from childhood. Trust me on this recipe. Lest you think this Easy Kentucky Derby Pie recipe is another one of those fly-by-night, made-for-pinterest-with-dubious-results kind of recipes, allow me clear that up for you. 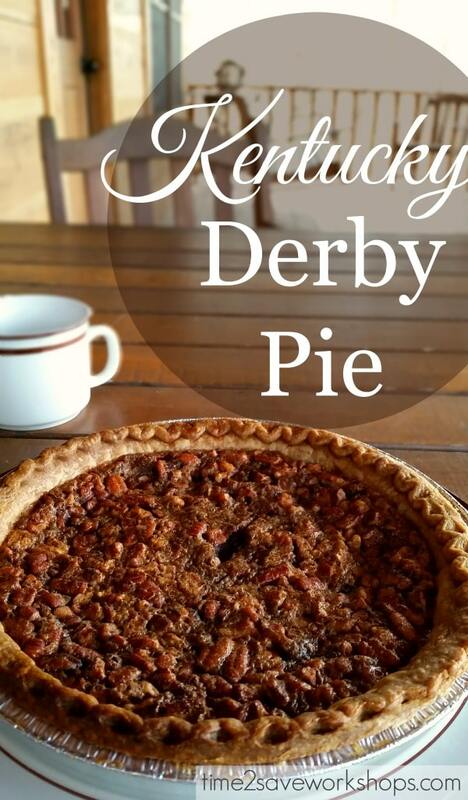 I’m a Lousiville, KY girl and I grew up on Derby Pie at my Nanny’s house for every Derby, Thanksgiving, and Christmas. 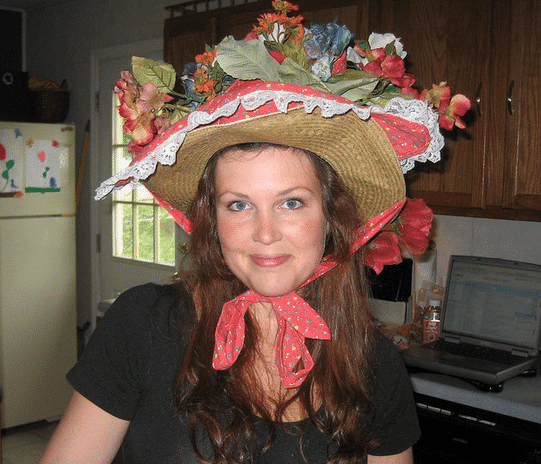 Here’s me, a couple (ahem 10) years ago wearing my DIY Derby Hat that still gets pulled out each year for the big race. Preheat the oven to 350. In a medium glass mixing bowl, melt the butter in the microwave. Use your hand mixer to beat in the eggs, corn syrup, sugar, vanilla and salt. Just add everything but the chocolate chips and nuts because you don’t want those to get mutilated by the beater. Add the chocolate chips and pecans to the bottom of each pie shell, and then pour half of the filling mixture over top. (Don’t worry, they pecans will rise to the top once they start baking.) You could always mix the chocolate chips and pecans into the filling before adding it to the pie shells, but I always wait and add them last so I can make sure that each pie gets it’s fair amount of chocolate. You can serve these right away, but the center will likely run out onto your plate. From which you can lick it all off and be a happy camper. However, if you just let it cool and transfer it to the fridge for a couple hours – that’s when it gets REALLY good. A thick fudgy consistency is how God intended. I like to make my pies the night before the big event and keep them in the fridge covered with foil. A scoop of ice cream on the side never hurt anybody either. Also, note that this recipe makes two pies that will be a little more shallow than some other recipes. It solves the problem of the center sometimes not getting done all the way, while the pecans turn black. **If you like a super-deep-dish pie, you can always throw all these ingredients into one deep dish pie shell. If you do that, make sure to put it on a cookie sheet to catch the spillover, and you’ll want to lower the oven temp to 325. Enjoy and Happy Derby Day! Preheat the oven to 350. In a medium glass mixing bowl, melt the butter in the microwave. Use your hand mixer to beat in the eggs, corn syrup, sugar, vanilla and salt. Add the chocolate chips and pecans to the bottom of each pie shell, and then pour half of the filling mixture over top of each pie. Move them to the bottom rack about halfway through so the top edge of the crust won't get too crispy. If not done, bake an extra 10 minutes. Let it cool and serve, best served cold! Question if I wanted to only make 1 pie would just cutting all ingredients in half work. 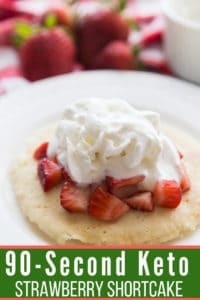 I want to add the bourbon to this recipe (my Ky memories). How much should I use and when would I add? I’ve had success with the dark Agave instead of the corn syrup. I also add 2 tablespoons of bourbon. No one really knows so I say nothing! Great to know Debbie – thanks so much for sharing! Do you thaw your pie shells first or leave them frozen? I’ve done BOTH Susan – this year I did light – but in the past sometimes I just had dark on hand. Both of them turn out WONDERFUL! Love this pie 🙂 thanks for sharing 🙂 It looks awesome! Hi Jamie! 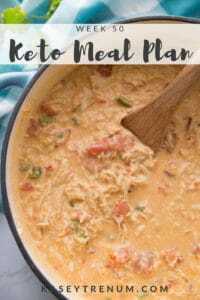 I’m a Lexington, KY girl and love your recipe. Do you know how many days in advance I can bake this pie? I’m hoping it’ll hold up 4 days in advance for my Derby party this weekend. Britney – I would say it will be okay up to 4 days in advance – but maybe wrap it tightly in tin foil (like protect the crust from getting grossly stale) and keep in the fridge. Then set out for guests the day of! Good luck – and bet on the grey! 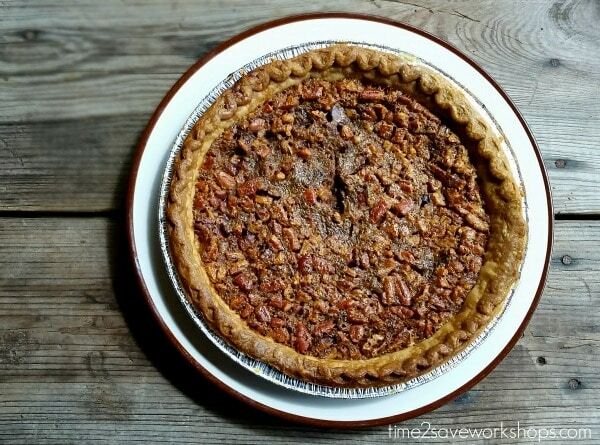 Since this makes two pies, does that mean you put half a cup of chocolate chips in each pie and 3 oz of pecan halves in each pie – or is it the full amount for each? How big are the two pie shells you use? Can’t wait to try this pie! Cari they’re the deep dish kind 🙂 Good luck, I hope it turns out great! I just threw mine in the oven. I used deep dish crust like it says and it only made one. Made it for my 19 year old son for Thanksgiving because he doesn’t like pumpkin pie! Asked him what kind he wanted and he said Derby Pie. Love your recipe! Thanks. He adored it and he isn’t easy to please when it comes to dessert. 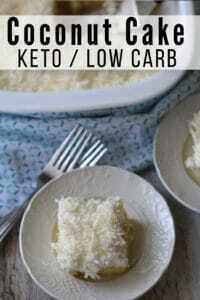 I have been searching for this recipe. They use to serve this at a hotel where I worked in Cincinnati. This is hands down, best pie ever! Have 2 in the oven as we speak! Susan and Rick thank you!!! I just made this up today to bring with dinner to a friend recouping from surgery. I am pleased as punch that the recipe makes two pies so I could keep one. I just polished off a thoroughly delicious slice and wish I could eat the whole pie! 5 out of 5 stars on that recipe! 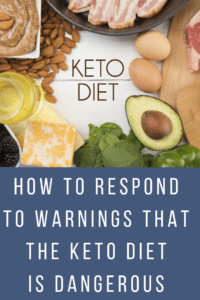 One question…do the leftover need to be refrigerated? AND – I’m so glad you enjoyed it, thanks so much for the kind comment! Oh my goodness! Thank you so much! I have wondered what the name of this pie was for years!! When I was about 18 or 19 I worked in a restaurant and this was my favorite pie of all time! I couldn’t remember the name so I didn’t know how to look for it. As soon as I saw the name here, it all came flooding back! I think they did put some kind of alcohol in it but I am not sure. 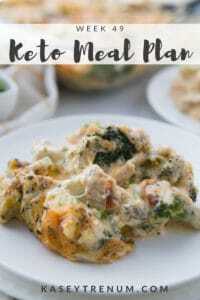 I just put it in the oven and I cannot wait to try it! Thank you thank you thank you! I’m sure you could Janet! Have you ever tried to make these in cupcake tins to make mini pies? I’d like to make for a potluck at work and feel like this could make serving easier. Thanks! Here goes! I am not a pumpkin pie fan, and this sounds like a yummy substitute. Having an early Thanksgiving tomorrow – looking forward to testing out your recipe! Lovely pie..thanks for your great list of recipes..